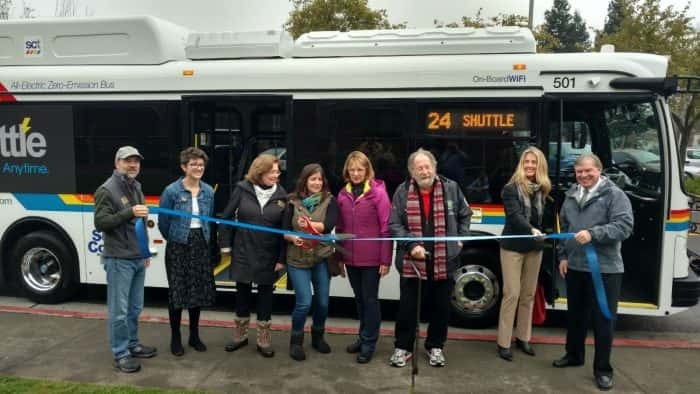 Sonoma County’s first electric bus is now in Service, providing free rides for the City of Sebastopol. The 30 foot bus was christened Monday morning and put into service right afterwards. 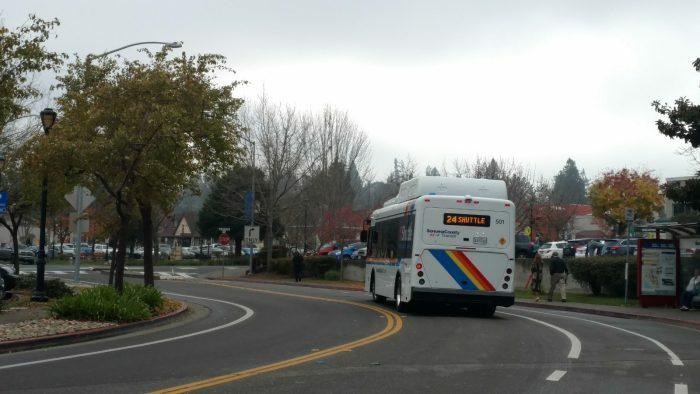 Bryan Albee, the transit systems manager for Sonoma County Transit, says the bus has a range of 135 miles and the route distance is totaled at 95 miles. 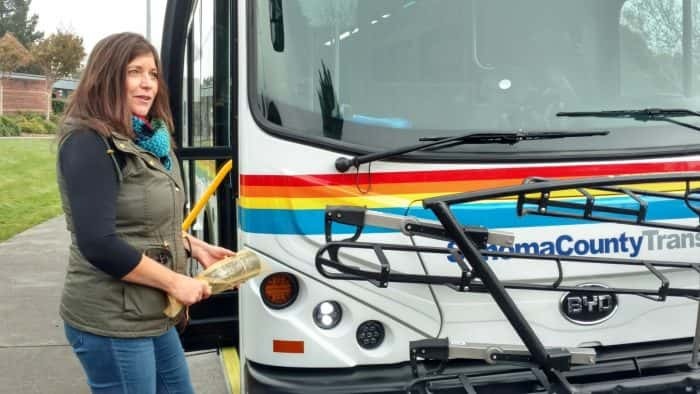 Ridership for the electric bus is free for one year with the city council subsidizing the costs. 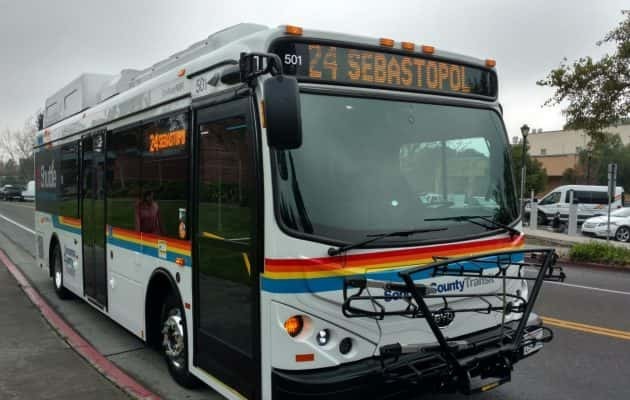 Sonoma County transit plans on the next electric buses to aid Windsor and Rohnert Park. All photos by KSRO’s Daniel Trucios.